Many studies have found that accounts that post frequently (ideally once a day at least) receive much more engagement than those that don’t. It has been proven that the more you post, the more likes and followers you will receive! So don’t be worried about annoying people, they are following you because they’re interested - give them what they want and get posting! If you don’t post frequently, your followers will most likely forget who you are and what you offer. Your aim is to keep your followers interested and engaged and besides posting amazing content, the key to this is posting consistently! 2. Get creative with your captions! A good Instagram caption can turn a good post, into an amazing one! Whether you choose to make them funny, interesting, informative or witty, it doesn’t matter as long as they’re not boring! 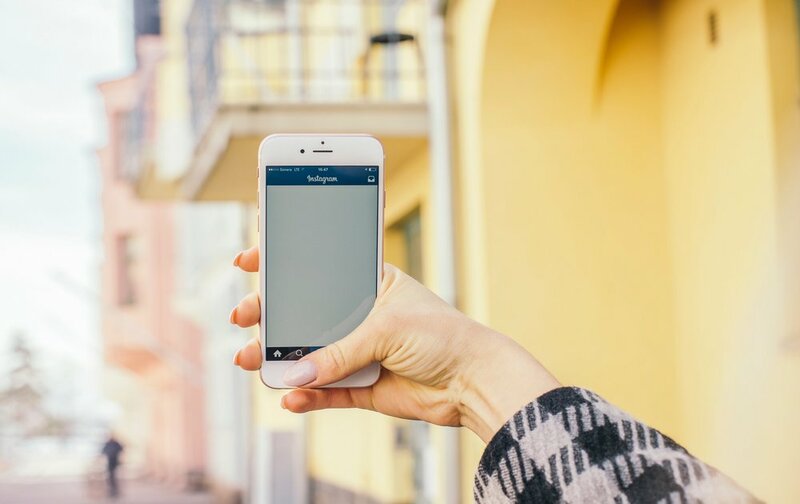 For more tips on writing the perfect Instagram caption read our blog post on our ‘top 5 tips for nailing your Instagram captions’. Find accounts that are similar to yourself, give them a follow and like/comment on their photos! Not only will this help you get your name out there and attract more followers who are likely to be interested in your content, but odds are they will appreciate the love and return the favour! A great tip for this is to turn on your post notifications for the accounts you are interested in/are similar to you so that you can engage with their posts as soon as they post it! A great way of gaining new followers is interacting with similar to people to yourself. Besides engaging with others content on Instagram, joining Facebook and Linkedin groups, searching relevant hashtags and finding people through there or getting involved with conversations online will help you build a strong support network and find people that you can support who will support you in return. Creating your own hashtag is not only a great way to reach new followers but it’s a great branding tool, will help you build community and will boost engagement! Make sure that the hashtag is unique and not already in use and remember to encourage people to use it! If people do use your hashtag, make sure you are acknowledging them as this will encourage them to do the same in the future! Running a contest/giveaway is a great way to grow your following! Pick something that will appeal to your followers, post it on your Instagram and caption it with how to enter. For the rules of the competition, include things like ‘follow us’, ‘tag a friend below’ and ‘like’ as this will help spread awareness of your contest and encourage more people to enter and thus follow you! Collaborating with other Instagrammers is also a great way to reach a lot of people as you’ll be reaching their followers too! Wherever you are, Geo tagging your location will help you reach new potential followers (who will most likely be interested in your content). People often search geotags to see posts of a certain location if they are planning a trip there or want to see what’s going on in the area. So, if you post amazing photos of London - tag it! If you’re on holiday in France - tag it! There will always be someone searching the geotag and it’s a great way to get your name out there to more people! Self promote yourself on your other social platforms! Do you have a Facebook, Twitter, Linkedin account or even a blog? The answer is most likely yes, and you almost definitely won’t have the same followers on these platforms as you do on your Instagram. So, encourage your followers on these different platforms to give your Instagram account a follow! You’ll be surprised at how effective this can be! 9. Include a call to action! Want people to do something? Ask them! As simple as this may sound, unless you ask people to do something, chances are they won’t do it! Whether it’s to like, comment, tag a friend or use your hashtag, encourage your followers to take action! Encouraging people to turn on your post notifications is a particularly great way to grow your engagement and following. This is because, this will notify people as soon as you post, making them more likely to engage with the post straight away! The great news here is that posts that receive a short burst of engagement soon after they’re posted help trick Instagram's new algorithm into promoting that post to the top of people’s feeds! So we could go on forever about the importance of having a beautifully coherent Instagram. But, in short, when someone follows you on Instagram they should know what to expect from you - whether it’s travel inspo, food pics or tips on a specific subject, you must keep your content consistent. This applies for the aesthetic of your Instagram too. You should decide on a theme - is it pastel colours? Bright colours? Dark and moody? Whatever it is, stick to it! People are much more attracted to coherent feeds! For more in depth on how to create a beautiful Instagram theme read this blog post.